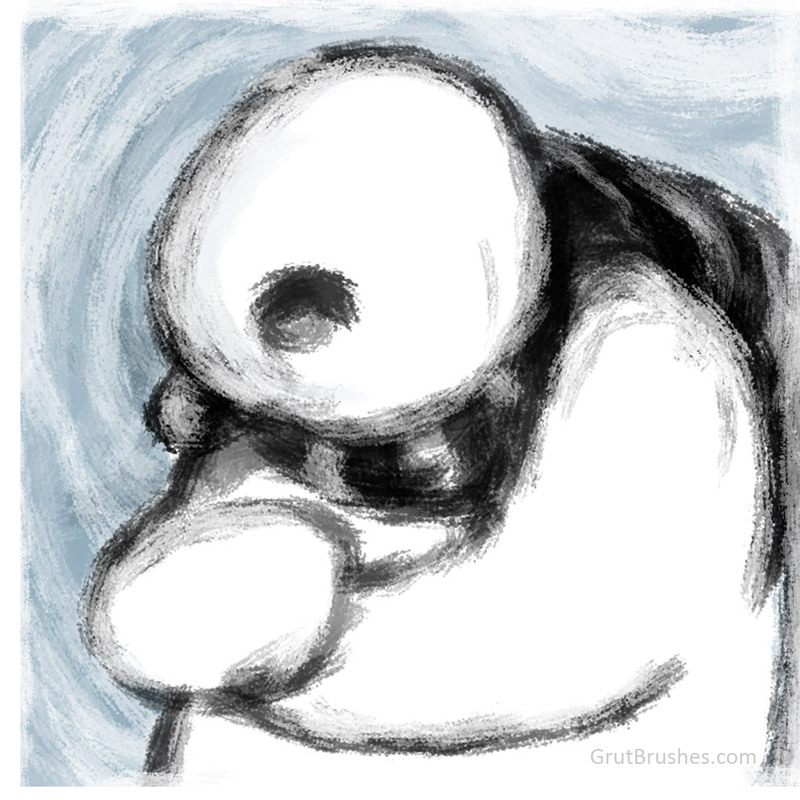 This week’s free Photoshop brush of the week (#120!!) is this creamy oil impasto brush “Butter Bits” These are my favourite types, I could smush digital paint around with these all day long. Come back next week when there will be a brand new Photoshop brush to download. Free Photoshop Brush of the Week #108! Download this Photoshop brush for free all week! I painted this on a GrutBrushes Art Surface which is applying some lighting and shadow effects, but it’s mostly all the brush itself. The very first stroke is painted with the Pensive Linney ink brush. I painted this Chilly snowman using this week’s free Photoshop gouache brush “Tip Wrinkle” a crunchy sketching brush featuring bold visible bristles strokes. 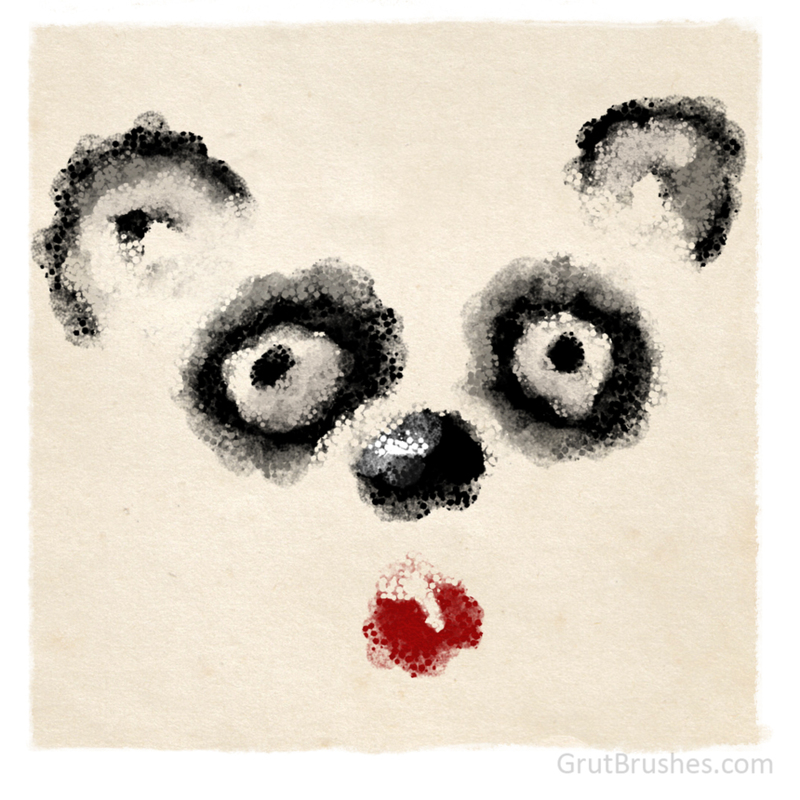 You can download this brush for free all week here or on the Free Photoshop Brush page. 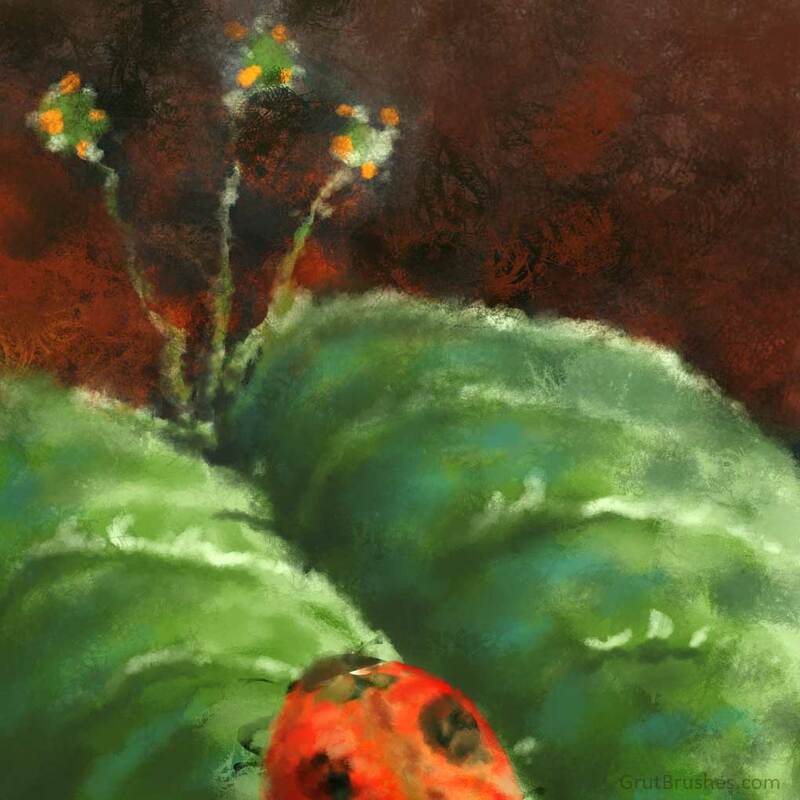 The ladybug was added using a fantastic plugin who’s name escapes me at the moment, but the rest was painted with the Toll Rumour Photoshop oil paint brush which is free through Sunday on the free Photoshop brush of the week page. 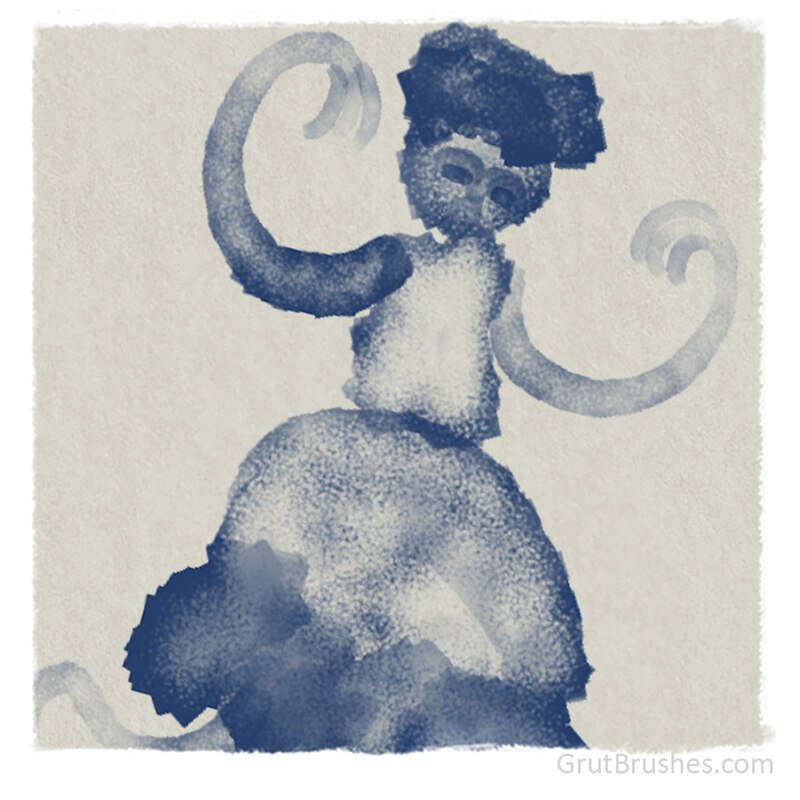 I doodled this animation with this week’s free Photoshop brush “Gel Stalk” A crayon-like brush with a rough edge and an intermittent oily texture. One of the important things about hand drawn animation and brushes is that you can’t use one with a built in bitmap texture, you need that jittery inconsistency or the animation just looks odd. I will do a post on this sometime to show you what I mean. For this reason, even though they are meant for drawing and painting still pictures, the animator in me always tries to make sure that any textures that GrutBrushes have are created dynamically from the interplay between the brush nib shapes and not from any scanned texture. That way you can draw over the same spot as many times as you like but the texture will never repeat istelf. There are times when this is unavoidable, namely with most of the watercolour brushes which need the paper texture to ‘look right’ though there are some ways around that too but more about that another time. You can download this brush for free all week on the free brush of the week page.